Lord Shiva represents tamasika ahankara in creation through which all these material world comes in existence creation consists of three energies namely Satva, Rajas and Tamas. There are tamasika energies which exists in creation is used to trouble people or an individual who is in enmity. The person who is under influence of the tamasika energies will face lot of problems or dangerous situation or even death. 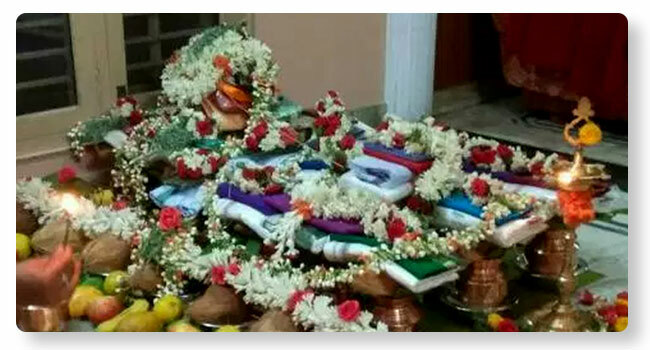 So, in order to overcome the negative effect of this tamasika energies lord Shiva is worshiped. Lord Shiva has five faces or forms known as Ishana, Tatpurusha, Aghora, Sajyojata and Vamadeva. Aghora face of Shiva represents agni tatva or fire through which all negative energies are destroyed through Aghorastra homa which is a powerful Homa performed only by experienced and knowledgeable priests which removes the effects of evil spirits, witchcraft and even troubles caused by enemies. It counters any advance made by enemies. Cancellations, Refund Policy & Adherence •	Cancellation of a puja or service can be made within 3 days before the actual puja date and only Advance or Partial refund will be given based on the purpose of cancellation. There will be no refunds for cancellations made within 3 days of the event. •	The puja charges will not be refunded under any circumstances, however due to un foreseen and exceptional circumstance puja date can be rescheduled only after consultation with the Kshetra or Temple and availability of purohit. •	Devotees booking the Puja should strictly adhere to traditions and regulations of the Kshetra or as guided by Purohit or as guided by Spiritual Products Private Limited support centre. Payment Policy •	Registration for Puja / Service is not complete until payment is received in full. •	If full Payments are not received with in seven business days before the Pooja in case of advance payment, may result in non-delivery of service. •	Payment may be made by the payment options available on our website or as instructed by our support centre •	Full payment for Puja / Service may not include small dakshina given at the time of puja or service Contact Us •	Please note that our Support Team (support@pureprayer.com) and help line (080) 67666666 is ready to provide you with timely assistance during our business hours. •	It may take anywhere between 12-24 hours for our Support Team to respond to your queries. •	We promise to resolve all your queries with the right solutions in a timely manner.